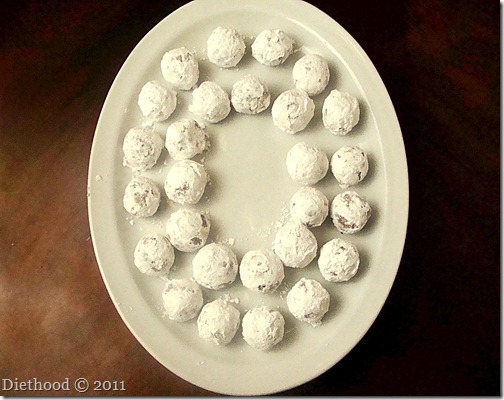 Bourbon Balls – Smooth, delicious, and authentic Kentucky bourbon ball candy. Perfect for a Christmas Tray! I am not sure what it is, but there’s something intriguing about booze in sweets. As soon as I mention that the cake or the cookies contain alcohol, people just go at them. I think it’s just curiosity – does it taste like cognac or does it taste like a cookie. For the most part it tastes like a cookie, or a cake. But, that’s not the case with these Bourbon Balls. I can truly say that once you bite into one of these, you will feel as if though you took a shot of bourbon instead of a bite of a cookie…unless you do what you are supposed to – wait one day before eating them! 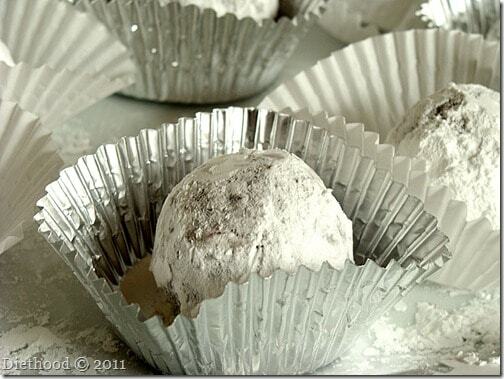 Bourbon Balls - Smooth, delicious, and authentic Kentucky bourbon ball candy. Perfect for a Christmas Tray! In a deep bowl combine crushed vanilla wafer crumbs, chopped pecans, powdered sugar, and the cocoa. In a separate bowl, blend the bourbon and corn syrup. Pour the bourbon mixture into the dry mixture; blend well. Shape small bits of the dough into balls and roll them in the powdered sugar. Store in refrigerator over night in tightly covered containers. For better flavor, make these 3 days in advance. So, my question is, how many did you eat before you decided that they tasted more like booze than cookie? Next time you need to invite me over so we can sample them together. They look fantastic and I bet are excellent with coffee. These look amazing! 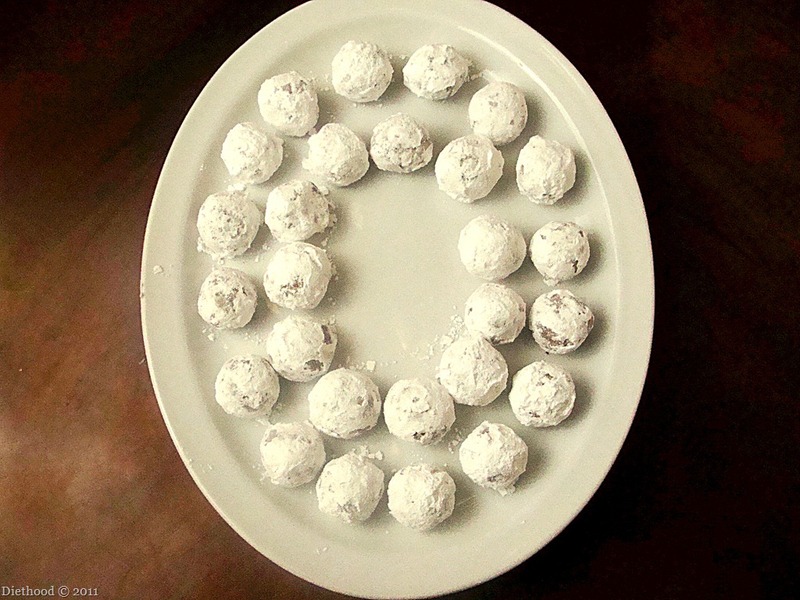 Is it too late to make bourbon balls post Kentucky derby? I was in London over the weekend and totally missed out on it this year! They look divine but are the ultimate test for patience and discipline! Hi Kate – these bourbon balls look delicious! They won’t last too long at a party for sure. Have a great weekend! Love this 🙂 it sounds and looks so yummy! Boozy desserts are awesome! Love this..
Ehehehe….who can manage to wait to try one out? 😉 Liquor in desserts is just fun…maybe a slight touch of the forbidden. 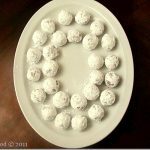 Oh, the addition of alcohol to desserts, and especially bourbon, is my favorite things to do – awesome, these bourbon balls sound totally scrumptiuos. Those look delicious, and I could never wait one day before eating them! Kate, they look great ! They look fantastic, what a stunning photos! Delicious for sure! We make something similar at Christmas. Who can resist boozy candy?!? Mmm, bourbon in an edible, sweet form. I’m in! These look delicious! I haven’t had bourbon balls in a long time. Def need to make these! Couldn’t resist, huh? I wouldn’t have been able to either. They look really yummy! These are just in time for the Kentucky Derby! We’ll be having plenty of these (and some actual bourbon) this weekend at the Downs! You had me at ‘Bourbon’….sounds like a party in all rolled up in one nice package!! (drool) (drool) (drool)…did i mention drool? (that doesn’t make me sound like an alcoholic does it) 🙂 These sounds to die for. Like everyone else I’m not sure if i can wait an entire day. Wait a whole day, seriously? I don’t know if I could hold out that long Kate. Well maybe if I tried one (or two) liquor laced ones and then waited another day for the rest. Yeah, I think that would work. I love booze in any form 😀 These bourbon balls would be great any time of day! A dessert that I would have to wait a day to eat…Not sure I’d have the will power. Ha! They look yummy!